You supply the ice, and we supply the rest! 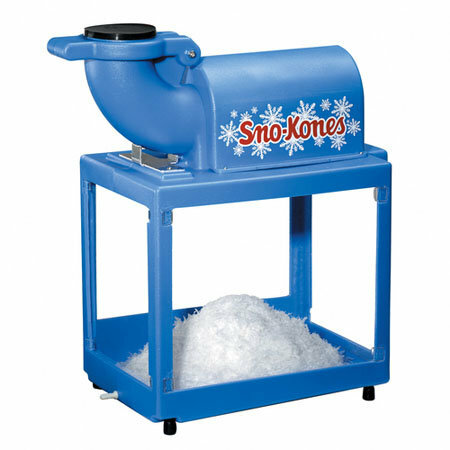 Our Sno-Kone machine is easy to use and keeps your guests refreshed and happy! 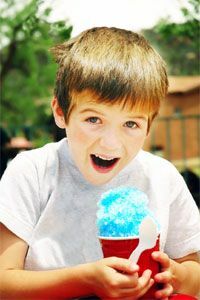 Comes with enough supplies for 50 guests, just choose your flavors at checkout! 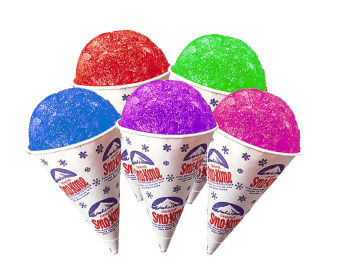 Includes two flavors: Cherry, Grape, Blue Raspberry, Root Beer, Lemon Lime, and Orange. 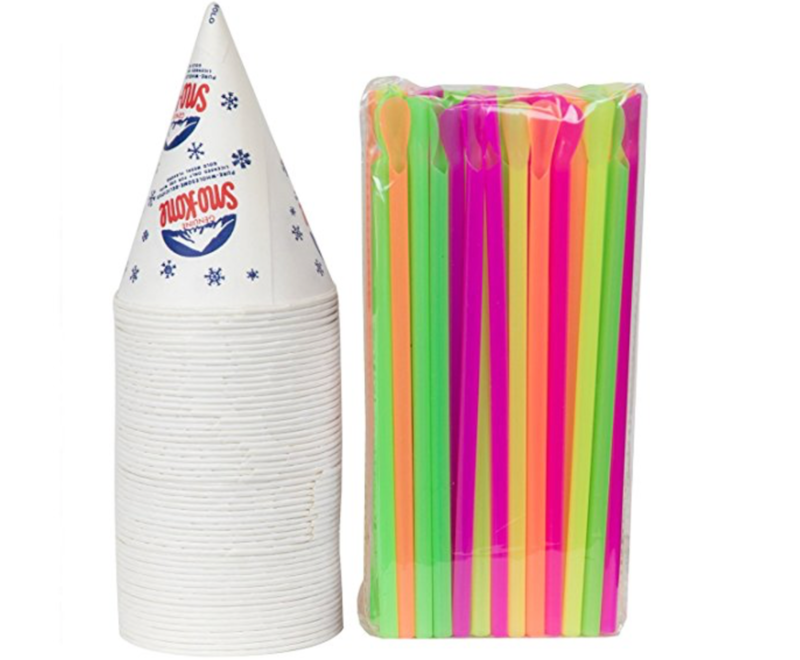 50 snow-kone cups, 50 snow-kone straws and two 25oz bottles of syrup. 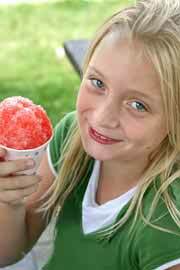 YOU CAN MAKE APPROXIMATELY 2 SNOW CONES PER POUND OF ICE. THIS IS ONLY AN ESTIMATE. ALWAYS BUY A LITTLE EXTRA SO YOU DON'T RUN OUT. DON'T FORGET TO HAVE A COOLER TO STORE YOUR ICE IN.